New published science and the screening of at-risk children before they receive any vaccines may provide a middle ground between the “all or nothing” positions of the two warring sides of the vaccine-autism debate, according to one of the leading critics of the government’s current vaccination program. On one side of the debate are parents who believe that today’s high number of mandatory vaccinations (children in the 1960s received three vaccinations, today’s children receive 38) can cause autism in vulnerable children. On the other side are government health officials who deny any a link. Handley says those discoveries, published in peer-reviewed journals, include the work of such respected researchers as Dr. Carlos Pardo-Villamizar, a neurologist at Johns Hopkins; Dr. Christopher Exley, a professor of bioinorganic chemistry at Keele University in England, and the late Dr. Paul Patterson, a professor of biological sciences at the California Institute of Technology. All the while, the autism rate has exploded. The Center for Disease Control and Prevention noted that the rates for autism in children went from 1 in 150 children in 2000 to 1 in 36 children in 2017. Handley says returning to the vaccine schedule used in the mid-1980s provides a moderate solution. He also believes that there should be thorough screening before any vaccines are given to determine which children are at-risk from serious vaccine injury. Removing vaccine safety from the Centers for Disease Control. Having the same agency that is in charge of promoting vaccinations also in charge of vaccine safety is an inherent conflict, he says. Screening vulnerable children should be implemented immediately. Some vulnerabilities are because of genetics, parental health histories of autoimmunity, and other children have problems that are apparent with a physical exam. Children who may have adverse reactions to vaccines also frequently have such conditions as ear infections, dark circles under the eyes and eczema. Test children before giving booster shots. Booster shots are provided for most vaccines. Handleybelieves many of these shots are unnecessary, as immunity has already been accomplished through the initial vaccine. A simple blood test would reveal if a booster shot is really necessary, he says. J.B. Handley is the co-founder and chairman of Generation Rescue, a non-profit organization focused on helping children recover from autism that was inspired by the journey of his son, Jamison, who was diagnosed with autism in 2004. 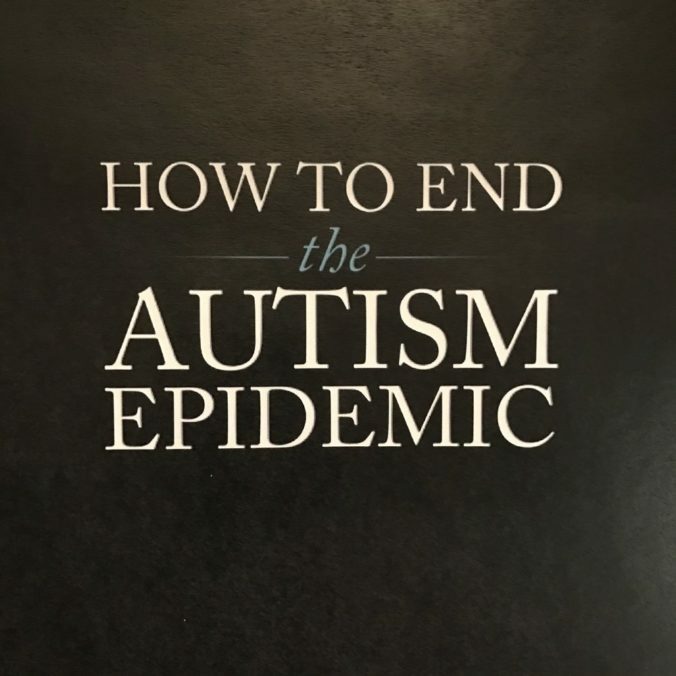 Author of the book How To End the Autism Epidemic(https://www.chelseagreen.com/product/how-to-end-the-autism-epidemic/), he is also the co-producer of the documentary film Autism Yesterday and the co-founder of the Age of Autism blog.